Hello, Ravenclaw: I saw you on Friday during Hello,Sugar' s Harry Potter Week. We talked about how we are both Ravenclaws but have traits from other houses. We awed over the artwork and delicious treats and laughed at kiddos trying the Fizzing Wizbee (poprocks) for the first time. You really are a keeper ;) Will you be the Ron to my Hermione, The Lupin to my Tonks.... or better yet, the Arthur to my Molly? Persimmons at Yoke's: I saw you in the Yoke's checkout lane. You talked me into buying a persimmon and you were right, they're very yummy :). Tap House reminisce: We ran into each other a second time. Had a nice chat about the old days of Spokane. (Amongst other things). I enjoyed bumping into you again... we have to stop meeting like this. Talking About Lollapalooza: You were with your family at the Artisan Pizza Kitchen in Liberty Lake. You have beautiful eyes and such a soft voice. It's a long shot and I feel kind of silly posting, but if you see this I'd love to talk with you more. Deer Park Veterans Day Assembly: You sat next to me in the front row. I tried time and time again to see if you were wearing a wedding ring and to my surprise, you were not. I asked you to take a picture of me and my son and you were happy to do so. I'm terrible with small talk and although I struggled to find something to say to you, I blew it and walked away. I really hope our paths cross again. I thought you were very pretty and down to earth. I'd love to be sitting next to you on purpose next time, not by chance. Lunch Buddy: I see you nearly every day at lunch and I know you see me too. I catch you looking at me from across the room as I try to eat an oversized piece of spinach. Am I amusing to look at? Is there something on my face? Or do I have a dark mysterious gaze that keeps you questioning my thoughts and desires? Why you keep staring I have yet to figure out but as long as your silent looks continue I will stare back as well. But seriously, if there is something on my face please tell me! Fantastic Date and Where I Found Him: Going to Fantastic Beasts with you was so much better than going alone... it was close to the experience I had going to the opening nights and book releases as a child. I loved having someone to share in the excitement, talk about relevance and context and enjoy a massive amount of popcorn with. You truly are a dream come true. Jeers to a local shelter: The weather is getting cold. I would rather be indoors warm and safe! However my most recent night's stay was a bit creepy and crawly to say the least. Bed Bugs!!! When I brought it to the staff's attention the next morning of itching and scratching, the staff brushes it aside as if no big deal. In fact, she said "Bed Bugs, everyplace downtown has them." Shame on the people that run this shelter. You would think that after getting a big donation last winter they could afford to take care of the Bed Bug situation. I am appalled that you Just brush this kind of thing under the rug. 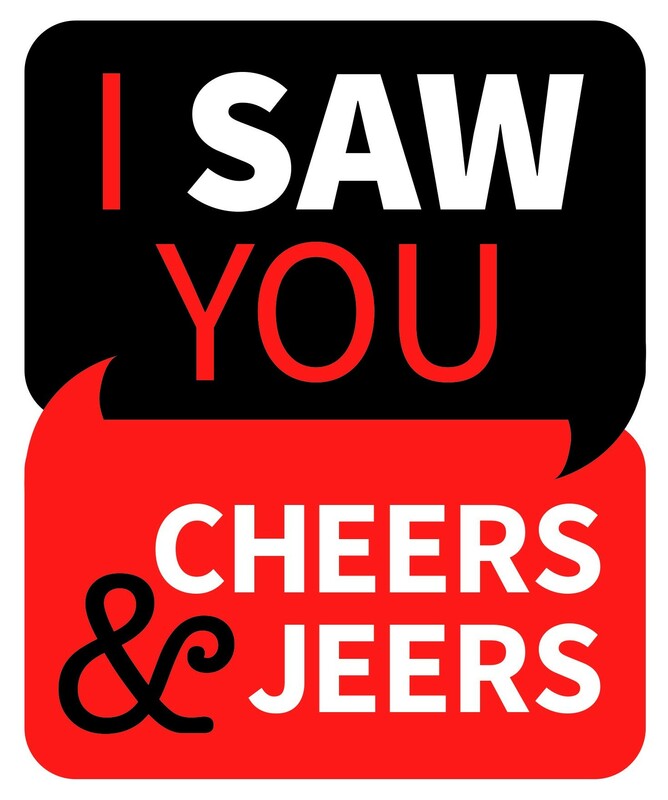 So I say jeers. You expect these women to sleep in such conditions? Jeers to the Jeers selection team: I used to have fun reading these because they were funny and targeted specific individuals who were doing trashy things. Now they're just a bunch of PC complaints about mundane things. Step up your game and accept some Jeers from people who are willing to be bold and funny.